As with any internet advertising you do for your dealership, it is important to make sure that you are looking at the correct metrics when determining what is working and what is not. When trying to increase the speed of your race car in a practice session, you do not just fill it up with gas each time and continue to make laps. You make laps, record the lap times, then make adjustments to the car, run more laps, and record the lap times after each adjustment. You will be looking at tire pressures for each tire, the temperature of each tire, tire wear, cross weight, and so much more. It is no different with your email marketing campaigns, especially if you are spending $0.10 per conquest email that goes out to what is being called an "in-market shopper." What gets measured gets done, period. From these measurements you can make adjustments to various parts of your email marketing campaign, just like the race car, to improve the performance of your emails. This is not the same as the bounce rate on your website, so we do not want you to get confused with this metric in email marketing. The bounce rate in regard to email marketing campaigns is the number of people that you tried to send an email to that came back as rejected and never made it to their email. If your list is clean and up to date, you should have a low bounce rate. This metric is tracked by every email service provider, and if yours is not giving you access to this information then it is time to change. If you have a lot of emails that are bouncing, make sure you do not pay for those. If you manage your list yourself, then make sure these invalid addresses are removed from your master list as soon as possible. You do not want to continue to try and send emails that get returned, as it will not look good with your Internet service provider (ISP) or email provider. This is the total amount of people on your email list divided by the amount of emails that were successfully sent out. There are various reasons why you can have a deliverability rate that fluctuates from mailing to mailing, but that is a conversation for another day. If you are paying for 10,000 emails to be sent out at $0.10/each, you could end up paying $1,000 for each mailing that goes out. To ensure you are not being charged for any dead email addresses from those so-called “in-market” shoppers, look at the deliverability rate and make sure it matches up with what you are being billed for. If you are doing email in-house, you will want to make sure this number does not change often. If it does, there could be an issue that is causing your emails to not be sent properly. The open rate of your email campaign is determined by the total number of emails sent out versus how many people opened or saw the email. This is important as it helps you determine if your subject line is working well or needs adjustment. It is also an important factor in your decision regarding whether or not to continue spending money on your email marketing campaign. If you are seeing a high deliverability rate, yet you have a very low open rate, chances are your email is not even making it to their inbox. Just because your email program or provider is showing a 90 percent deliverability rate on that list of 10,000 emails, that does not mean that all 9,000 emails made it to the inbox. Emails that land in the spam folder still count as being delivered because technically they made it to the user, just not where you were hoping they would end up. Analyze the CTR of your email links within your email provider's platform. This is still an important metric to look at, as it will help you make changes when you are split testing your email layouts. You are split testing, right? Change headlines, switch up how your offers are laid out, change pricing structures, etc. to get some concrete evidence regarding what works in these messages. Just like the race car, make one adjustment and analyze the results. Does a certain link anchor text get more clicks than others? Does a certain vehicle get more clicks when it is at the top versus owning a spot in the middle of your email? These are all things you need to be looking at to help improve the performance of your email marketing efforts and to help drive more sales to your dealership. At the end of the day, the goal of your email marketing campaign is to drive traffic to your website for the specific offers you are promoting. If people are not clicking on the email links, what good is that email marketing campaign doing for you? It is important to know how many people are unsubscribing from any of your email marketing campaigns. Some vendors will not give this data out as they want to charge you for the email being delivered in the first place. If the viewer that unsubscribed was an in-market car shopper, why would they want to unsubscribe? It is an email list, you can buy them for next to nothing for any city in the United States. If you are seeing a lot of unsubscribes, make sure you are not being charged for them. Within your Google Analytics account, you can actually see the city in which individual website visitors are located. 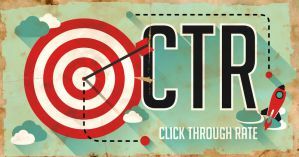 You will want to pull up your email campaign data and look at this to ensure the clicks you are receiving are within the vicinity of your dealership. Naturally, some email addresses are old, and the person in question may no longer be living near your dealership (or they can be out of town and still open the email and click on the link). However, chances are that these instances of legitimate discrepancies in city data are few and far between if you are using a good email list. If you are seeing a lot of traffic coming from other states or cities that are not within your targeting area, then start asking questions. All of your traffic should be coming from within your area, or close to it. You can even take it a step further and analyze the traffic from origin cities to review the device used, ISP, browser, and browser size, among other variables, as a way to confirm whether or not this traffic is even real. The main goal of most email marketing campaign is usually to make leads, with obvious things like announcement emails being the exception to the rule. If all of your above metrics look good, you should see leads being made from the campaign. 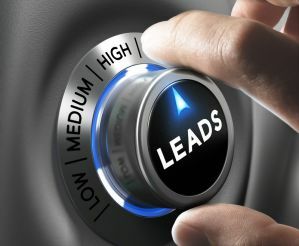 Whether these leads come in the form of phone calls, chat sessions, or form fills, your campaign needs to be producing tangible leads in some capacity. If not, why do you continue to spend a hefty portion of your advertising budget within this channel month in and month out? In order to track some of these metrics accurately, I recommend using UTM codes for any link within your email. This will allow you to track any clicks from any link in the email and see the data within your Google Analytics account.